Tonight my fiance and I are going to see the Charleston Ballet Theatre's Nutcracker. This will be the first time I see CBT perform it. I actually take ballet classes from CBT and my teacher is a company member, so I will get to see her perform and some of my younger classmates as well. I've seen many versions of the Nutcracker across the South, and so far my favorite is Columbia City Ballet's. I took classes there while I lived in Columbia, so of course I had to go see my classmates perform and William Starrett (CCB Artistic Director) probably would have had our heads if we hadn't gone to see the performance. 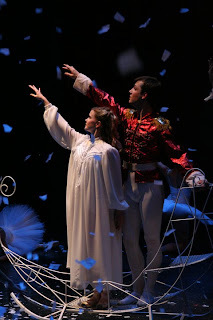 The reason I loved Columbia City Ballet's version is because my favorite scene (the snow scene) was beautifully done - from the glittery snow (not soap suds like Atlanta Ballet uses), the stage scenery, the lighting and the choreography was perfect. I'm excited to see CBT's version and see how it compares to all of the Nutcrackers I've seen before. The interesting thing about CBT's version is they use a company member for Clara - she happens to be very petite and young looking, so they always use her for Clara. So I'm expecting more advanced dancing from Clara in this version which I think I will like. We're sitting front row, center left of the second level. I like to sit up higher so I can see the dancers' feet. I usually dress up more for the Nutcracker, but I'm going more casual tonight. We're stopping by a happy hour before with my fiance's co-workers, so I didn't want to be too dressed up. I'm going to try out a pair of brown booties instead of knee high boots to see what it looks like - but I might just stick with my tried and true knee high brown boots. We'll see. For jewelry I might try some pearls and see what that looks like. 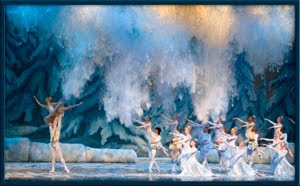 Are you going to see the Nutcracker in your hometown this year? P.S. That navy wrap cardigan is on Rue La La today for only like $30 or something. 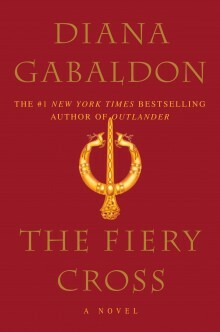 Oh my goodness - I am loving your blog! I was born a North Carolina girl, raised in Orlando, and just moved back to Orlando from Tuscaloosa where I was in school for 5 years! MY DREAM IS CHARLESTON! My boyfriend is a CofC kid but he's in Myrtle Beach... we spend lots of time in Chucktown and Folly Beach! I hope yall enjoyed it! A Christmas Carol was good! We used our student ID's and got tickets for $10 :) I had to see the Columbia Nutcracker when I was in college and I REALLY enjoyed it. ahh! i'll echo your other sweet posts and say your blog is adorable! glad to have found it. have fun at the ballet! i used to dance too--and now cry every performance, ha.